The DWP611PK 1-1/4 HP Max Torque Variable Speed Compact Router Combo Kit with LED's has a 1-1/4 HP motor to deliver power for the toughest applications, and variable speed control for optimal bit speed in each application. 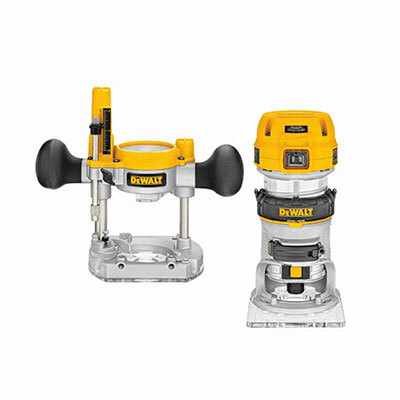 Features precise depth adjustments and fast, easy motor pack removal for bit and base changes. LED light and clear plastic fixed base provide superior bit visibility.